A team of legal scholars, 19 labor and public interest organizations, and 46 individual advocates recently petitioned the FTC under the Federal Trade Commission Act, 15 U.S.C. § 45, seeking new rules that would prohibit employers from presenting a non-compete clause to any worker that would make the employment contingent on the worker's agreement to a non-compete. Under the terms of this proposed rule, the FTC could bring enforcement actions against employers who violate the rule. Non-Competes Are Contracts of Adhesion: Typically, workers have little to no ability to negotiate these clauses due to, among other things, grossly unequal bargaining power. ("Scholars studying non-compete clauses have written that “a reasonable interpretation of the data is that non-competes are typically a take-it-or-leave-it proposition”). Non-Competes Unfairly Harm Workers: One of the principal effects of a non-compete is it greatly restricts, or hampers, an employee's ability to improve their lot by moving on to a better job for better pay. Monopolistic Businesses Use Non-Competes to Exclude, or Limit Product Competition: By preventing talent from going out the door and applying their knowledge elsewhere, consumers are also hurt, as they are denied better products at a cheaper price. Second, employers have far more targeted tools at their disposal to prevent their confidential and proprietary intellectual property, namely, trade secret, copyright and patent laws. "Although they cannot enforce non-competes in court in these states, many employers still condition employment on worker acceptance of non-compete clauses. 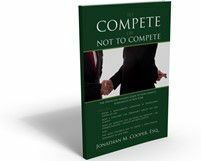 Indeed, the relevant law appears to have minimal effects on employers’ use of non-compete restrictions. In California and North Dakota (two of the three states where non-competes are unenforceable), approximately 19% of workers are under a non-compete requirement—the same figure as for workers in states where non-competes are most likely to be enforced." In other words, even in states that ban non-competes, the "laws on the books," as a practical matter, aren't really working. I would be remiss if I didn't point out a glaring omission in the petition: it specifically avoids a carve-out allowing for non-solicitation provisions. Although it is not entirely clear to me, I believe their argument is that by banning those provisions as well, employers will be more incentivized to work on worker retention, whether by pay increases or otherwise. While this argument may have some merit, by approaching the issue in this manner, I believe the petition risks looking overly one-sided, and thereby diminishes its credibility. I, for one, am interested to see the results of this petition. Given the pro-big business orientation of the current government, however, I am skeptical that this petition will get very far. Post a Comment to "Labor Advocacy Group Petitions FTC to Prohibit Non-Competes"